Session Three: April 9th 2016 – Solo overnight vigil by Sam Collier. 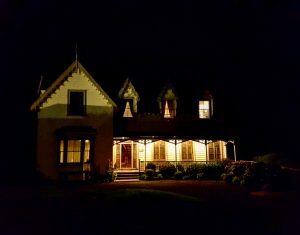 I was no stranger to Puhinui house itself. 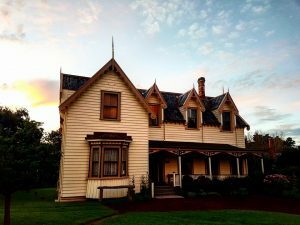 Being a local to the Howick and Pakuranga area meant almost annual visits to the Howick historical village right through my school life from primary to college. 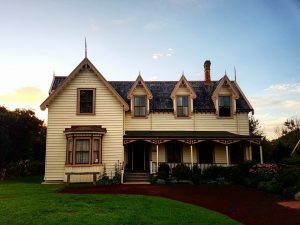 I can’t ever recall ever visiting the Puhinui house and considering that it may be haunted. 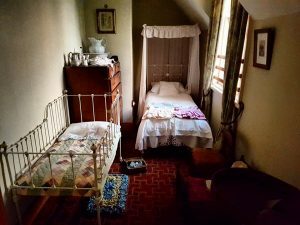 I was aware that it was old and had a history – that was usually the point of us visiting but I can honestly say that I never made any ghostly connections to the house. 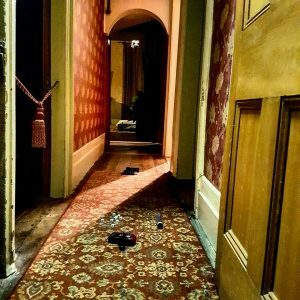 To me, I guess I saw the house as more of an attraction, something in my mind that more closely resembled a prop or a film set. 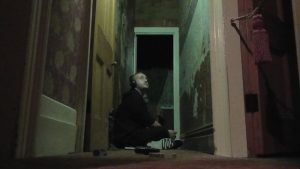 Since then I’ve heard stories of ghostly figures seen ascending the stairs and outside doorways looking into rooms, sparking a different kind of interest and naturally wanting to see something like that for myself, which is why I jumped at the opportunity to do a full solo investigation at the house. 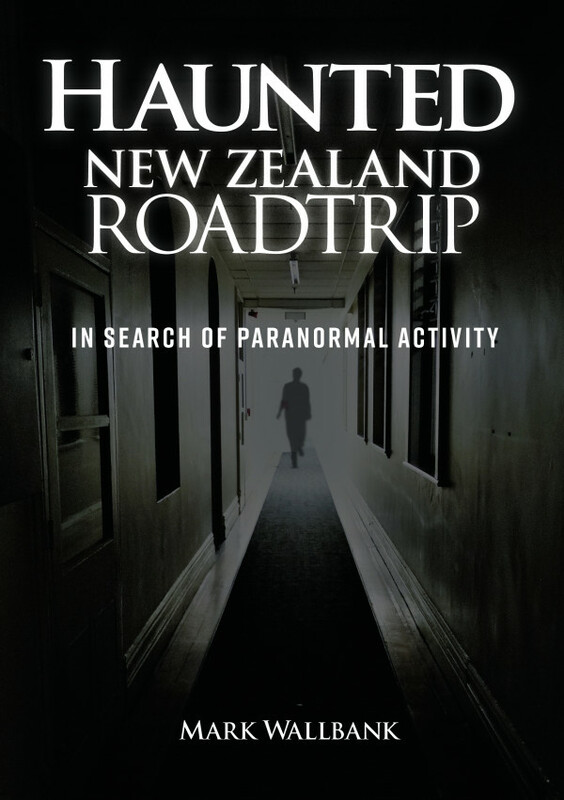 I liked the idea of doing a solo investigation – spending a night alone in what could potentially be a haunted house is an opportunity of a lifetime, something I’d be silly to pass on. One key advantage to solo investigations is not having to single out noises or activity from other team members, which means anything that happens within the house that I can’t vouch for myself is something worth questioning. The house takes on a different persona at night. Away from the general public, sitting alone in the quiet dimly lit house it actually felt homely. It was no longer an attraction that I could only look at. I felt more involved, like It really was a house that I was looking after whilst the owners were away. Except I didn’t feel alone – I’m not entirely too sure if findings shared from previous investigations had any effect on my expectations and feelings or not, be it on a conscious or a sub-conscious level but throughout the night I had a general sense that someone was in the house with me, perhaps unaware of my existence and going about their own business; The sounds of shuffling and the odd knock or tap that resembled more of the familiar sounds of human interaction than of the usual creaky old house noises. 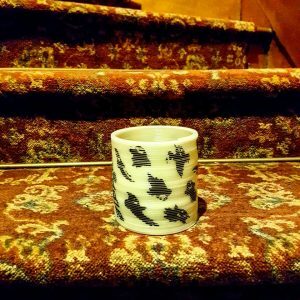 Often on the stairs I would feel an unusual “tingly” feeling that would send a chill down my spine and cause goosebumps despite temperature readings being consistent and unchanging. I think there is a fine line between fear and caution. I don’t believe I ever felt afraid in the house. 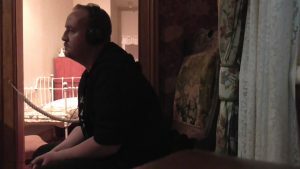 I don’t have any reason to believe that anything sinister had ever happened in the house so I had no reason to believe that should there be any paranormal interaction that I would be in any danger. 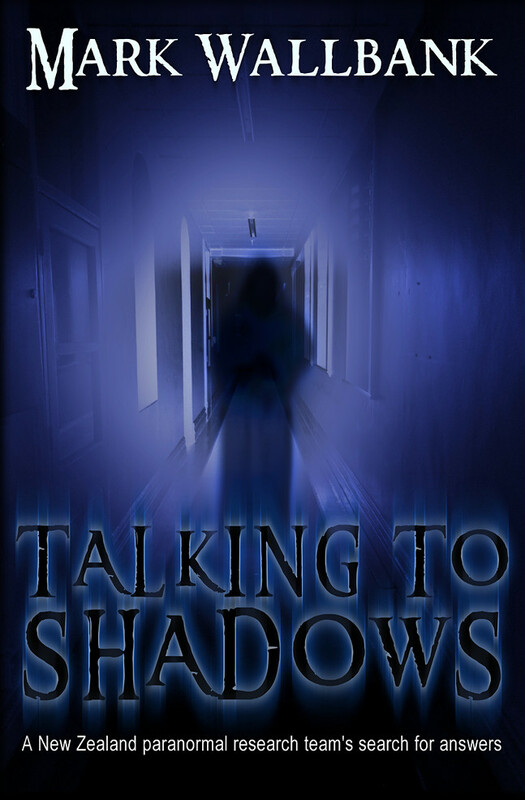 However there were moments where intuition told me not investigate any noises without a torch or a camera especially in areas that weren’t properly lit – there were indeed a number of blurry photos of the headless mannequin in the blue dress that stood in the doorway of the storage room at the end of the upstairs hallway, I never got used to it being there throughout the night as I went from room to room and on a few occasions I had to do a double-take thinking that it could have been an apparition. It’s a natural reaction and I have no fear of having to hand in my man-card over it. 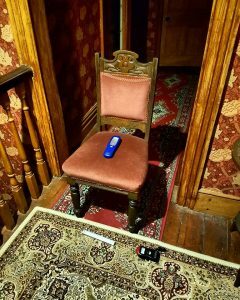 Various trigger objects were used throughout the night including Marks blue torch placed on a chair in the upstairs hallway (that was central to activity recorded during his own investigation). 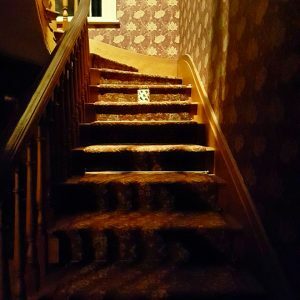 A slinky placed midway on the staircase, playing cards semi-dealt and placed on the small table upstairs and lettering dice that were placed randomly in the downstairs hallway. All trigger objects were placed in view of a camera. On inspection of the trigger objects early the following morning it appeared that nothing had been moved or altered from their original places. 9:30pm – Autumn festival at Loyd Elsmore park on tonight. Plenty of noise going on, people, fireworks, music. Hopefully doesn’t last too much longer. Hopefully not too many decide to hang around till the early hours. Will likely contaminate (any) EVP recordings. 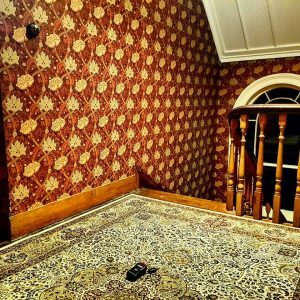 10pm – strange “electronic“ humming sound could be heard coming from the master bedroom. Can’t seem to find a source but don’t believe (it) to be anything of interest. Always seem to get a chill when on or around the stairs. 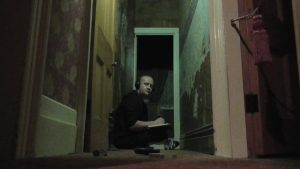 11:30- EVP session, upstairs outside baby room. 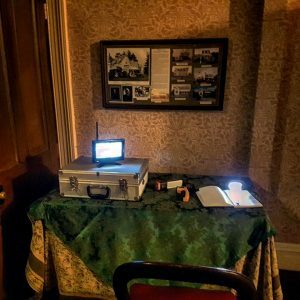 12pm – EVP session ends, a few interesting taps and knocks to review, plenty of “yahooing“ still going on outside though. 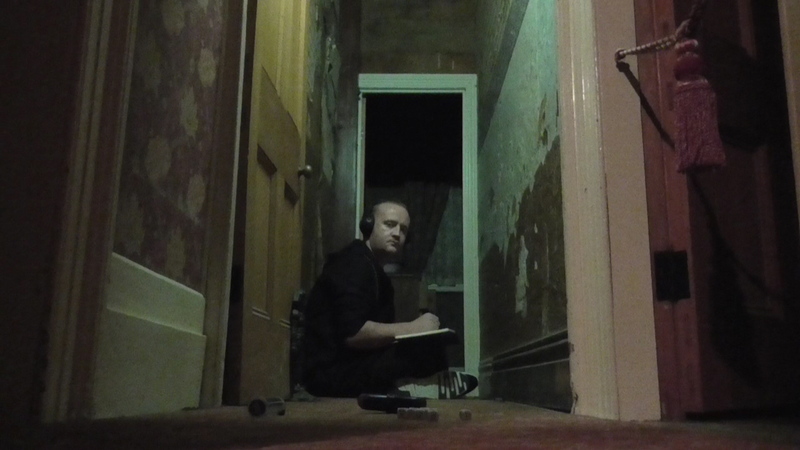 1:10 – EVP session downstairs outside the kitchen. Hot water? Pipes above me are making a regular, rhythmic dragging sound. Perhaps they lead to the ZIP in the kitchen. There is a definite click and a “whurr” sound like a thermostat starting up and something heating up. Knocks to review, they don’t appear to be usual house creaks but either way they don’t seem to be in response to me or my questions. There is a real build-up to the clock chiming in the kitchen, I can hear it starting up well before the chime kicks in. Makes a hell of a noise for a small clock. (I) keep hearing an odd sound, best described as a marble rolling along the ground and hitting hollow wood. * I believe I may have captured this sound on camera. 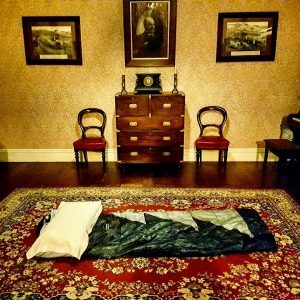 2:15 – EVP session ends. I felt as though I spent most of the night with one eye open. Not out of fear but rather because at random intervals throughout the night I could hear sounds from upstairs that would suggest there was movement. So with every knock or scrape I would listen out for repeat sounds. 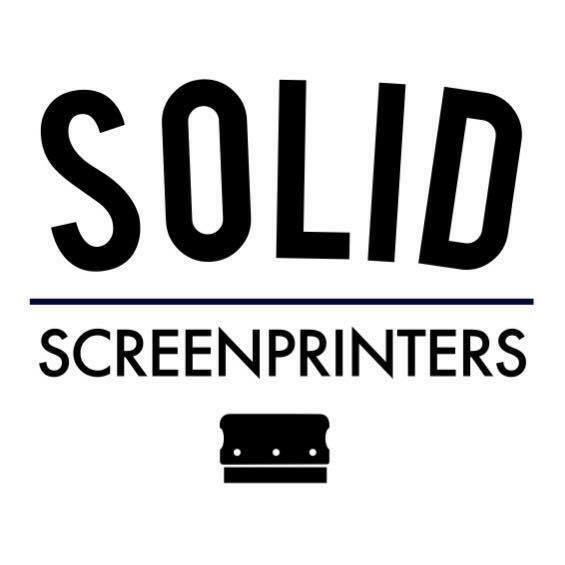 I can honestly confess that even though I knew I was alone and expected to be alone I had a sense that I wasn’t – and they weren’t deliberate sounds for the sake of making noise, but rather the sounds of someone going about their own business. Cameras that I had placed around the house would later confirm that I did indeed get some sleep (and quite vocally) eventually. Interestingly enough I could clearly be heard on one of the cameras I’d placed upstairs (I was sleeping downstairs) so clear in fact that you’d almost think I was in the same room. A lack of insulation perhaps? Thin walls and flooring? It made me question the direction of every sound that I’d though I’d heard throughout the night. I’d thought I’d heard sounds from upstairs when downstairs and vice versa but were they really from that direction? 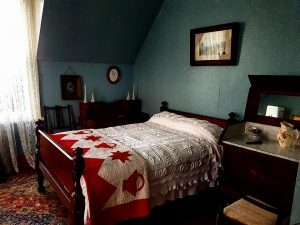 Do I think the house could be haunted? I believe that there was enough going on throughout the night to suggest that there is something in the house worth investigating further. To say it’s a Ghost or anything paranormal is too early to tell. I think moving forward I wonder if my expectations and experiences would be different had I known less about the property and activity prior to my visit. 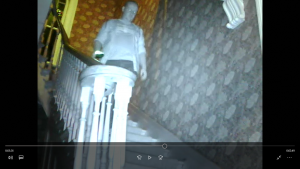 Had I not known that there had been apparitions seen ascending the stairs would I have focused as much attention to the stairs as much as I did. And would other rooms have stood out more? 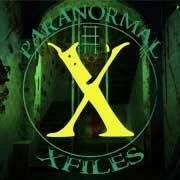 Would I have been better off not knowing that It was believed to be a female spirit that had once lived in the house, would my communication questions have been more neutral? I think the investigations so far have raised plenty of questions that may take some time to answer, there have been interesting findings with each solo investigation so far, as well as plenty of things that we’d all like to do differently should there be other opportunities.